Highlights of Episode #2: What is Health? And How Negativity, Pessimism and Unforgiveness Affect It Different types of stress and their effects Specific steps for changing negative/pessimistic People and Resources Mentioned: https://www.ewg.org/news/news-releases/2009/12/02/toxic-chemicals-found-minority-cord-blood https://www.merckmanuals.com/home/brain,-spinal-cord,-and-nerve-disorders/craniocervical-junction-disorders/craniocervical-junction-disorders Disney's Frozen Thanks for ... Más informaciones Listening! Thanks a bunch for listening to my podcast! If you enjoyed this episode, I would so appreciate your sharing it with others who you think may be interested by using the social media buttons on this page. Do you have feedback or questions about this episode? Drop a note in the comment section below! Subscribe to the podcast Don’t miss upcoming episodes--for automatic updates of new podcast episodes, please subscribe to my podcast directly from iTunes, Stitcher or Google Play. You may also subscribe using the podcast app on your mobile device. Leave us an iTunes review Ratings and reviews are essential and I truly appreciate the precious moments listeners take to help my podcast rank higher on iTunes, which brings the show and our empowering message of natural health to more amazing listeners like you. 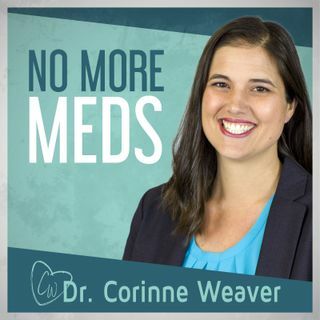 If you have a moment, please leave an honest review for the No More Meds Podcast on iTunes.